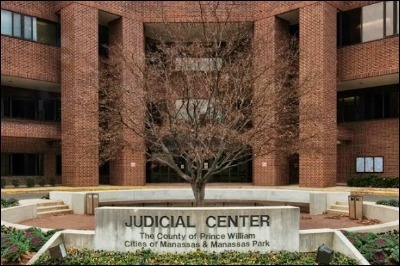 Originally built in the early 1890s and added to the National Register of Historic Places in 2004, Prince William County (PWC) Courthouse, located in the city of Manassas, Prince William County, Virginia, conducts hearings for civil, traffic, criminal misdemeanors, and preliminary hearings for felony cases. 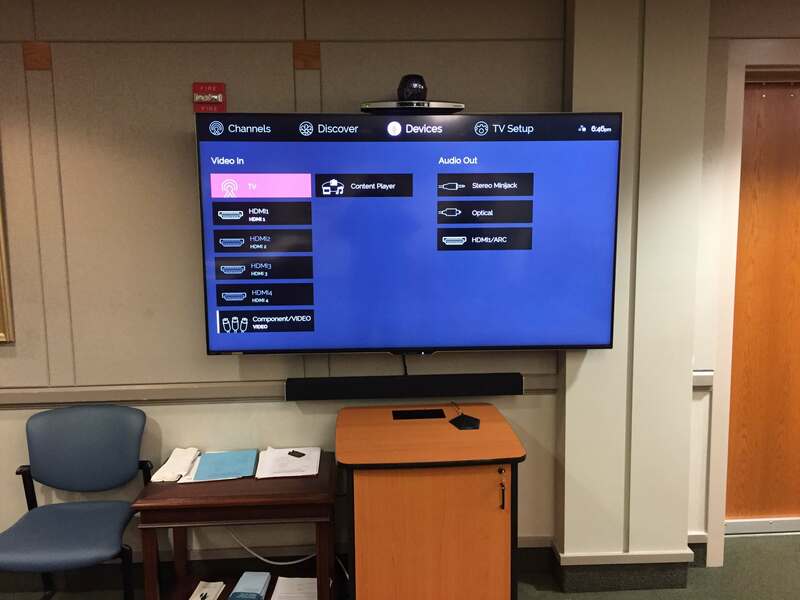 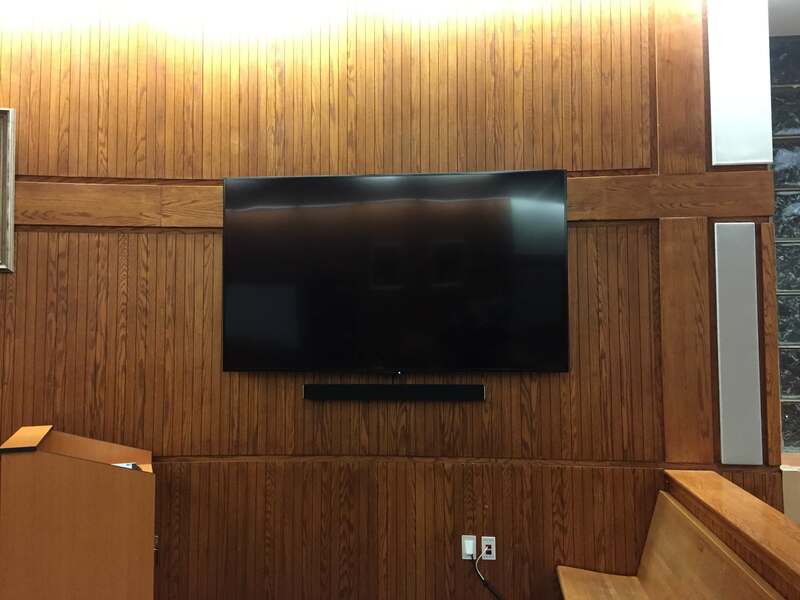 To upgrade the Courthouse from an analog to a digital environment, Trinity Video partnered with UNICOM Government, a national leader in delivering comprehensive IT solutions and services, to engineer and install new Audio/Video (A/V) systems for several courtrooms and divisions within the PWC Courthouse. 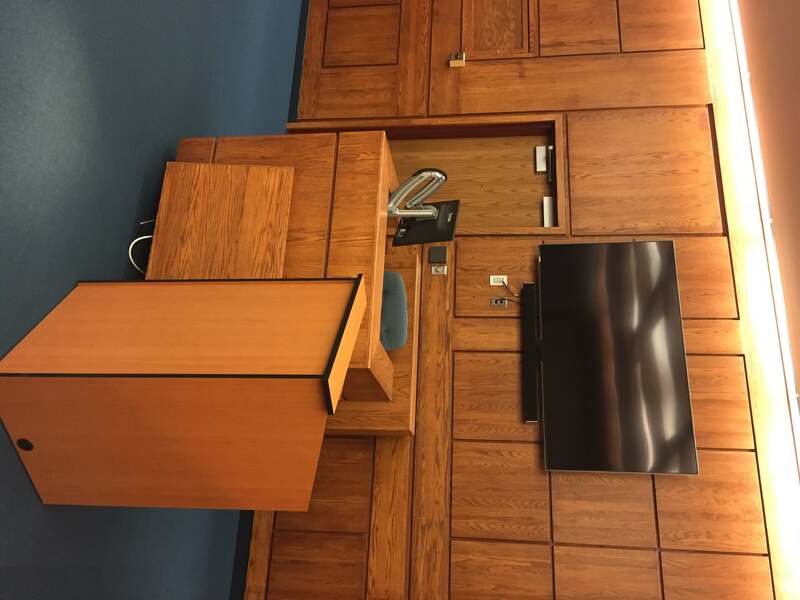 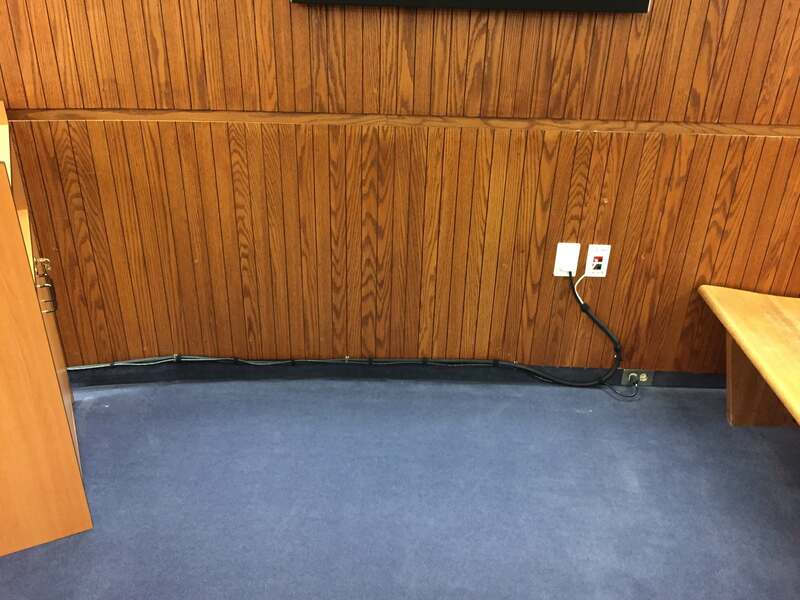 Courtrooms received wall-mounted or cart-mounted 70” LCD monitors for use as the primary display for evidence viewing by the judges, clerks, jury, attorneys, and gallery, and 22” LCD monitors also were installed at witness stands. 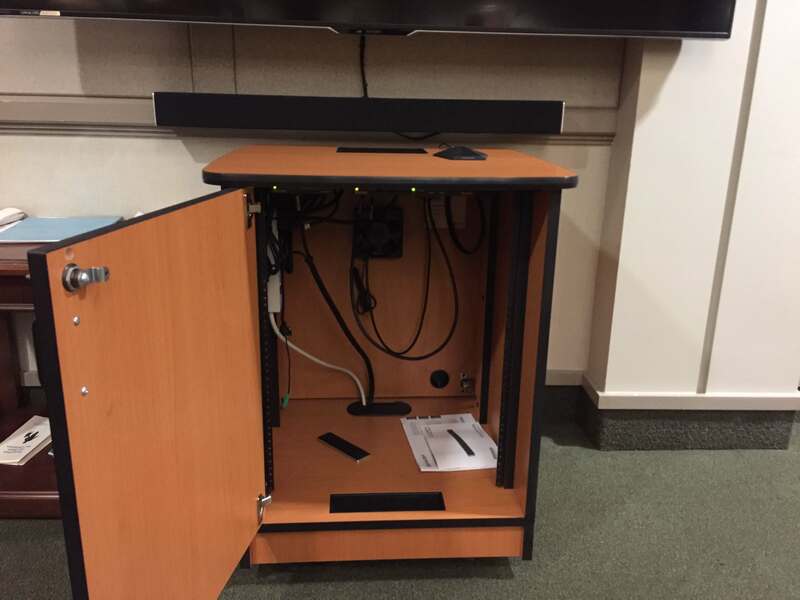 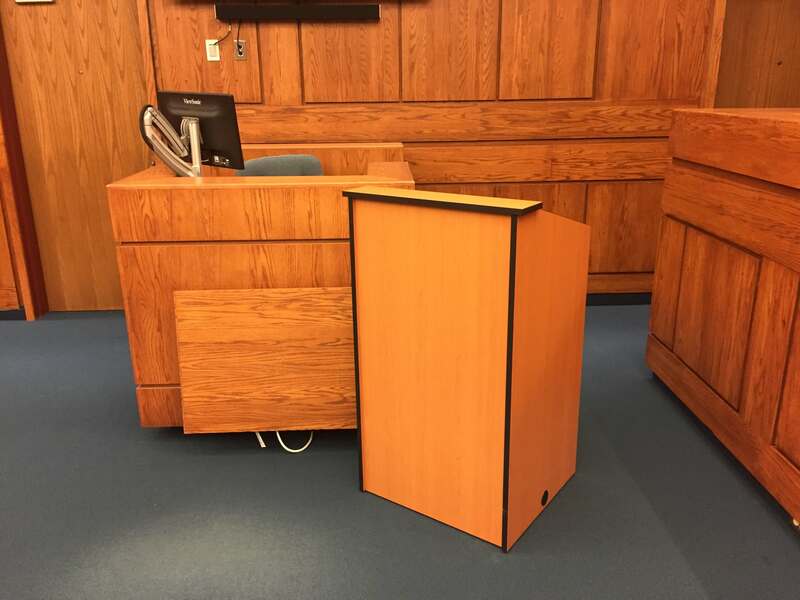 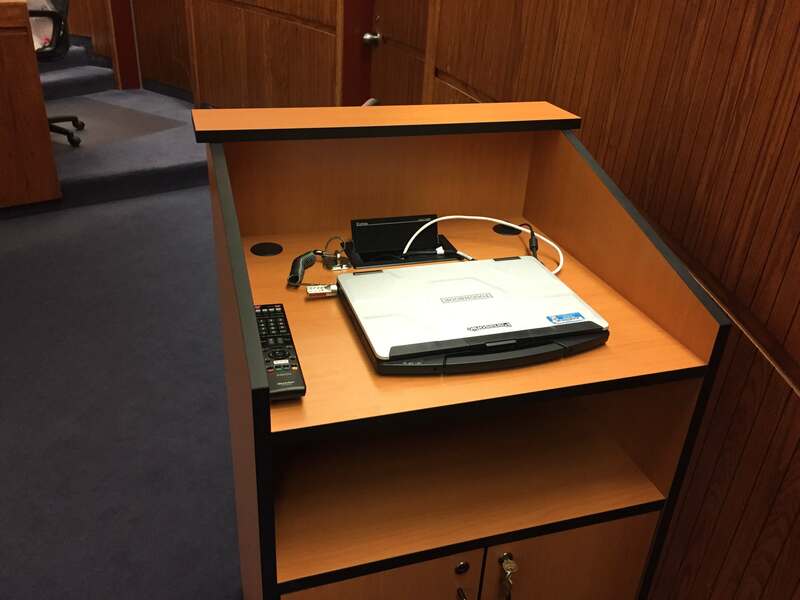 New stationery lecterns were selected to house HDMI, video graphics arrays, and 3.5mm audio cables for connecting to evidence playback devices.